and is still the longest running local family owned scrap merchant in the city. 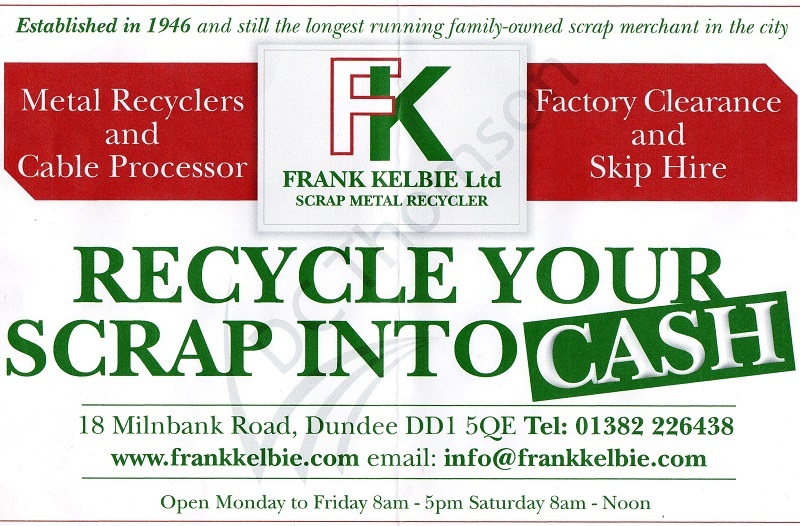 FRANK KELBIE Ltd opened in Milnbank Road, Dundee, in 1946 and is still the longest running local family owned scrap merchant in the city. The company is now into the fourth generation of the family and still strives to provide jobs for the local area as it has done for many years. Copyright Frank Kelbie Ltd 2012 – 2019 Web Design, Development and Hosting by mtc.